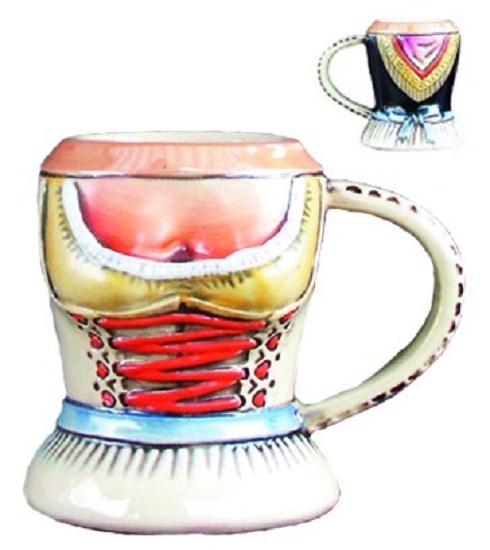 •This beautiful stoneware shot cup was handcrafted in Germany by Zoeller & Born. •The handpainted relief shows a dirndl. •This 4 ounce shot is about 2.6 inches tall. 100% German materials and German labor.